Incase you haven’t already seen it, this is Topshop’s A/W Unique collection that was shown in London on Saturday. 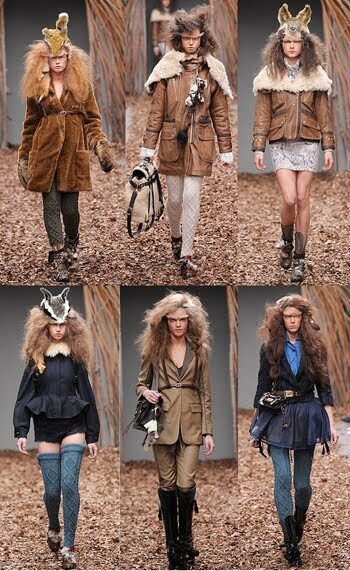 Enter models with big hair, bushy mono brows and animal head pieces. I’m weirdly drawn to this collection. I love the muted colours, and array of textures. This mixed with the leafy runway gives a woodland wildlife feel to the show. Some of the pieces I’m not too sure about, but it all looks easy to wear, and I am in love withe the thigh high chunky socks!